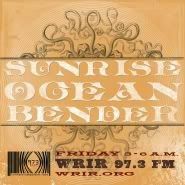 We’ve heard that no one knows exactly why the city of Milwaukee is called “Milwaukee.” We’ve also heard that no one knows exactly why there seems to be a new “psych fest” approaching the radar every day. These are mysteries that we’ll save to solve another day (read: never). 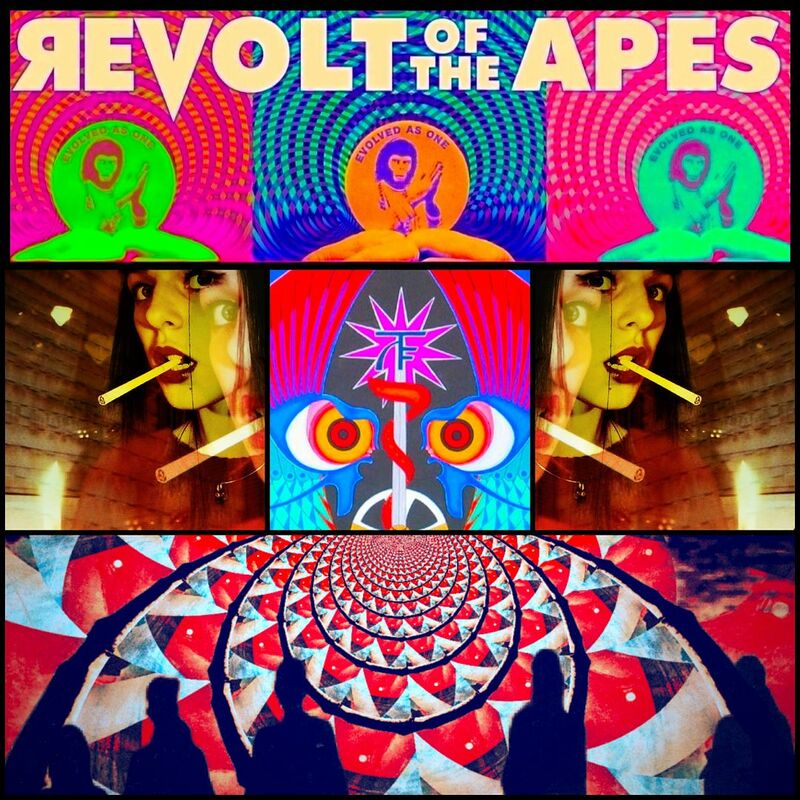 We do know that we can’t make it to every emerging psych fest across the globe (sometimes, we have trouble just making it to one), and we also know that the founder of this weekend’s Milwaukee Psych Fest – Andrew Shelp (a.k.a. Suni Daze, a.k.a. the heart that keeps Moss Folk beating) has long found the time and inclination to sing the praises of this ridiculous website. It’s a kindness we can hardly return, but it’s only fair that we take the time to sing similar praise the for the Milwaukee Psych Fest. On the occasion of the third incarnation of Milwaukee Psych Fest, the brew-city freaks have put together a line-up par excellence, filled with bands that we’ve written about previously (Haunted Leather, Sisters of Your Sunshine Vapor, Heaven’s Gateway Drugs, Verma) and bands we’ve previously meant to write about (hello, Electric Citizen; hello, Vocokesh). But it all begins, as most things do … with LOOP. If we were in Milwaukee this weekend, rest assured we’d be at Milwaukee Psych Fest. THURSDAY APRIL 24th. 9pm. $15. FRIDAY APRIL 25th. 9pm. $10. SATURDAY APRIL 26th (4-8pm). $7. SATURDAY APRIL 26th. 9pm. $10. SUNDAY APRIL 27th. 5pm. $10. 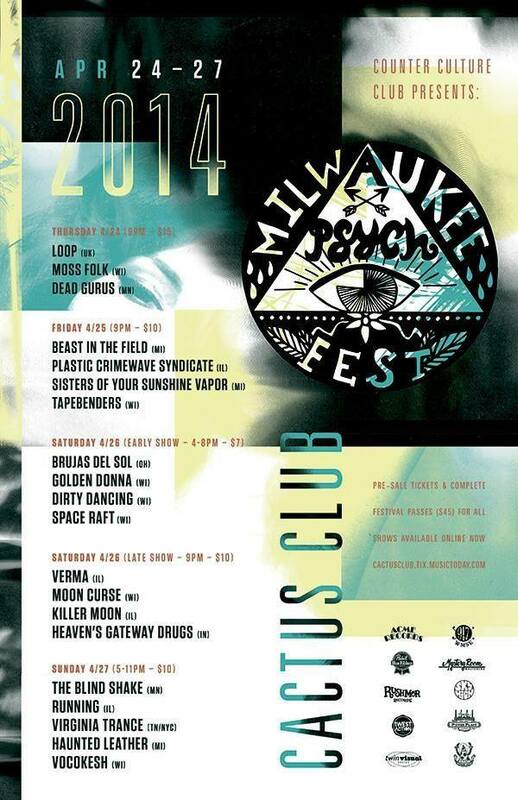 Milwaukee Psych Fest will be held at The Cactus Club (2496 S Wentworth Ave).